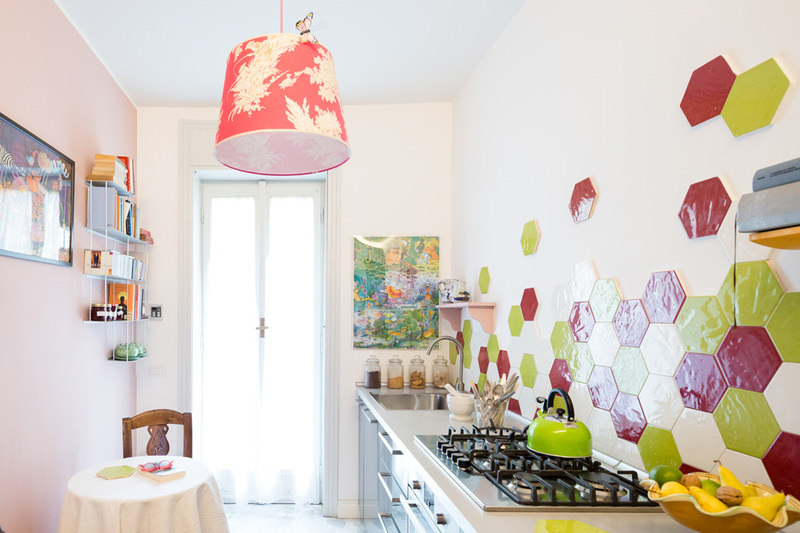 23BASSI is an architecture and interior design studio based in Milan, concerned primarily with home renovation and home decorating projects. Bassi also designs buildings, retail spaces and installations truly expressing the value of architecture. 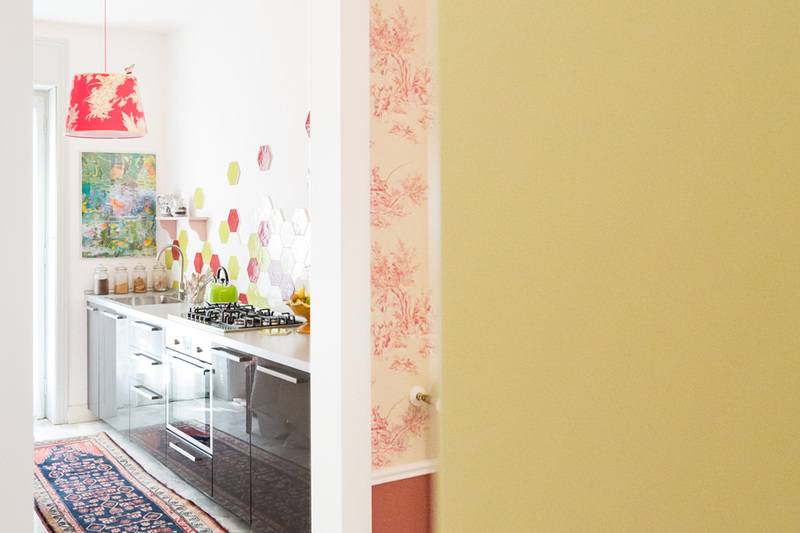 We wished to create a character atmosphere perfectly representing the client’s style and personality. 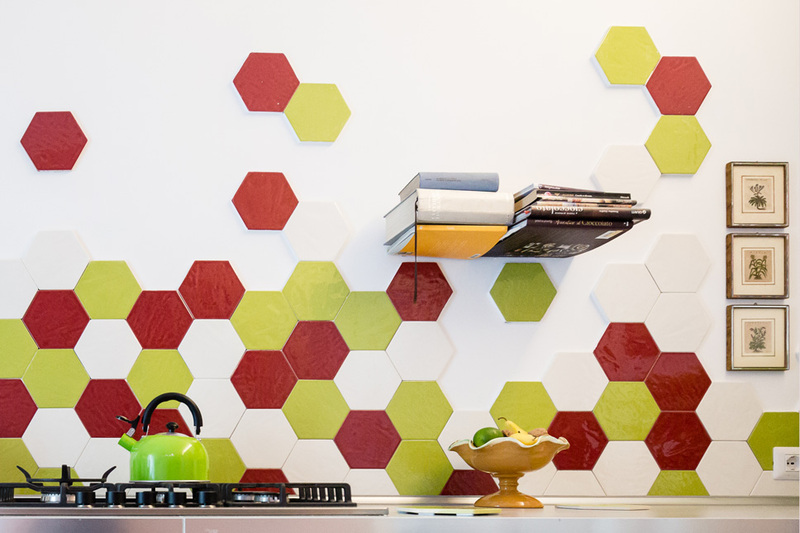 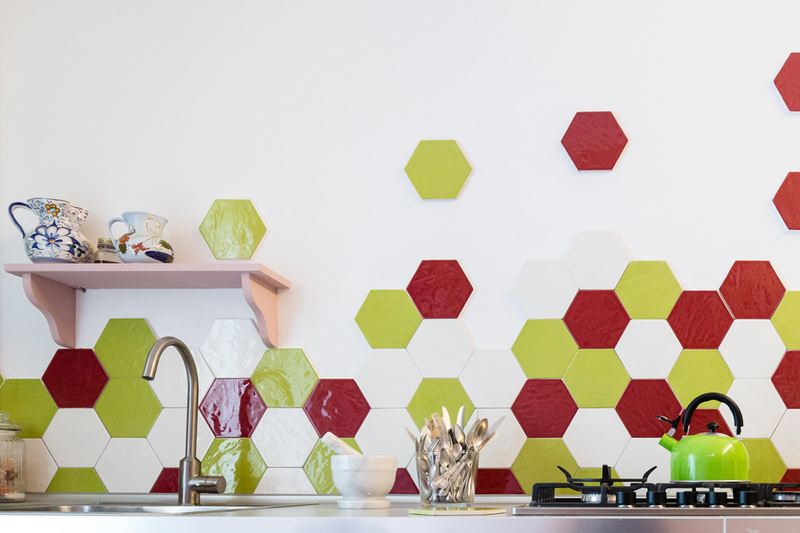 Hexagonal tiles with subtle textures offered just the right blend of character and elegance for the project. 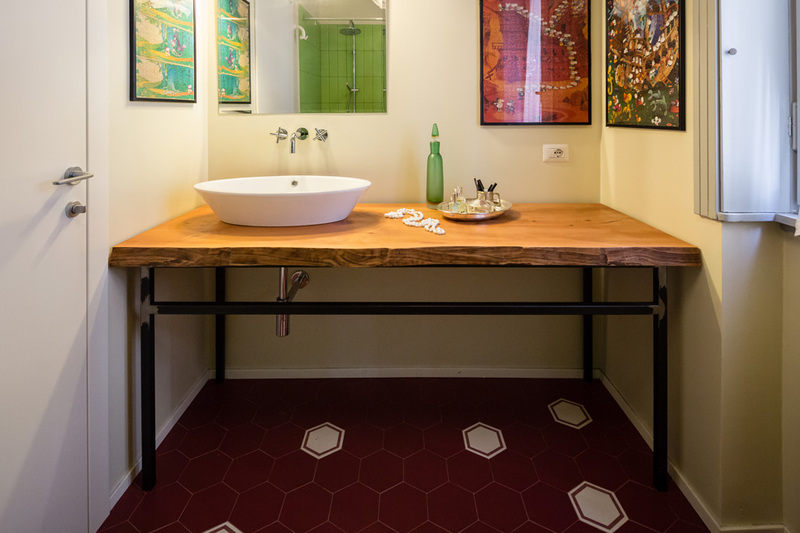 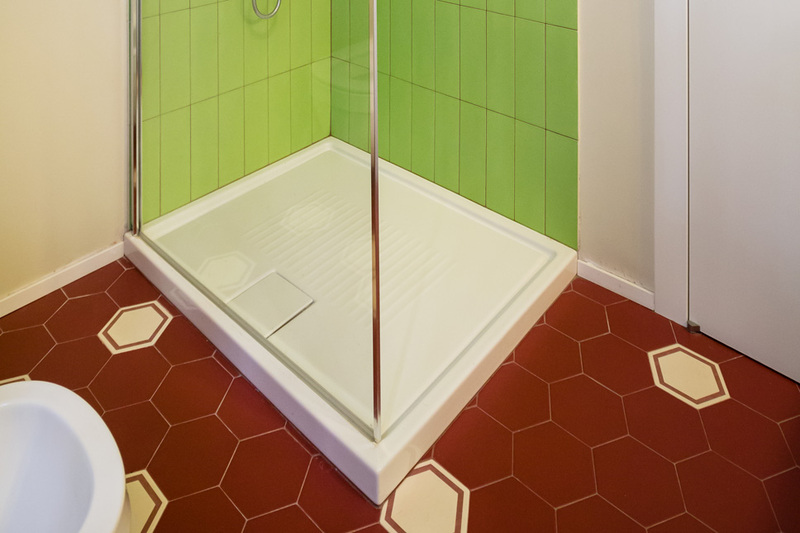 In the bathroom, we juxtaposed Burgundy tiles with contrasting green tiles with Burgundy grouting. 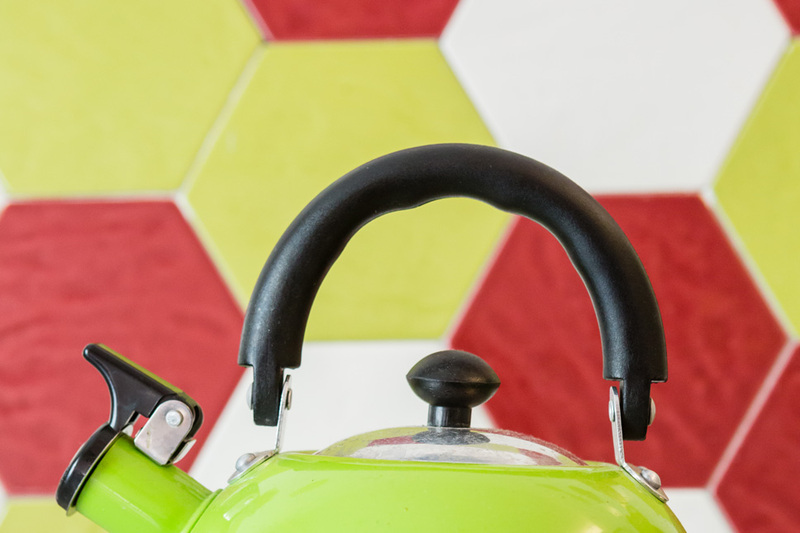 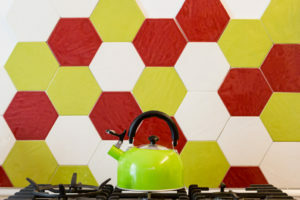 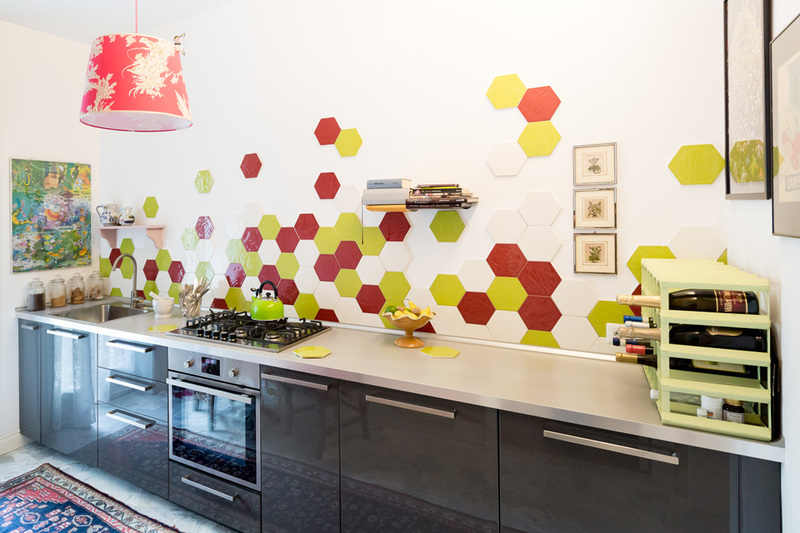 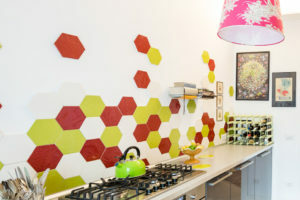 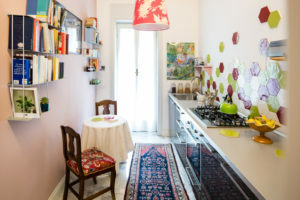 We added a touch of colour in the kitchen with a brightly coloured backsplash.